At approximately 10:25 AM yesterday, a plane originating in Dallas landed in Philadelphia and delivered an undisclosed number of $100 bills that had not yet been put into circulation. Between the time the plane landed and the money was supposed to arrive at the Federal Reserve Building in East Rutherford, New Jersey the money disappeared. Now the FBI wants to know what happened to it. In one of the more entertainingly vague notes from the FBI we've seen, the investigative agency says "a large volume" of money was stolen "from this particular plane" but they don't give many details. We do know the money wasn't supposed to go into circulate next year and a courier reported the money missing. Does this mean the plane landed, the courier transported a package, and when it got to the Federal Reserve (we'd guess the origin was the Dallas Fed) in New Jersey they realized "Oops, the money is gone!" On Thursday, October 12, 2012, at approximately 10:25 am an Airplane arrived into Philadelphia from Dallas. From this particular plane, a large volume of money was stolen. The theft was reported at approximately 2:00 pm yesterday, by a Courier Service when the money arrived at the Federal Reserve Building in East Rutherford, NJ. Attached to this correspondence is a copy of one of the $100 bills which were stolen. 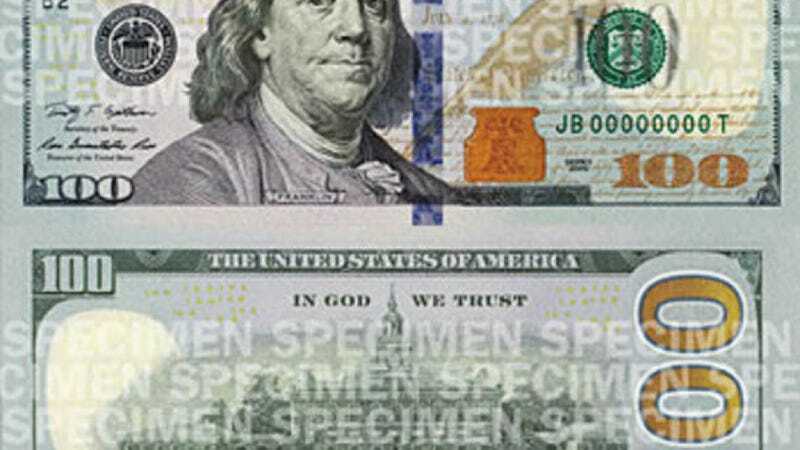 These $100 bills are not scheduled to be released into circulation until next year. All merchants please be on the lookout for these bills. At this point, the FBI is following all leads and all potential subjects are being investigated. Anyone with information is asked to call the FBI at 215-418-4000.